No one understands chimney services better than e professional technicians at All Pro Chimney. We provide dependable, professional service at reasonable rates. Whether you need a new fireplace installed, an existing chimney repaired, or an annual chimney sweep, All Pro is ready to serve. We will show up on time, explain all of the options and perform all of the work required to ensure that you enjoy your fireplace. All Pro Chimney is the right choice for chimney service and fireplace installations in Fairfax County, VA.
Personalized service – We treat every customer like they are our only customer. Competitive pricing – We provide quality service at reasonable prices. Dependable Service – We show up on time and get the job done right. Professional Service – Our technicians provide professional service that is unmatched by other chimney service companies. There are 3 levels of inspection. Each level has its purpose. Every chimney sweep should start with a level 1 chimney inspection. A level 2 inspection is typically required as part of a real estate involving a home with a chimney. Our technicians will complete a thorough inspection and provide you with a complete report of our findings. Learn more here. All Pro Chimney Services installs a wide variety of hearth appliances. Available options include wood burning fireplaces, gas fireplaces, and pellet stoves. We can install fireplace inserts into an existing opening or install new fireplaces in rooms that currently do not have a fireplace. 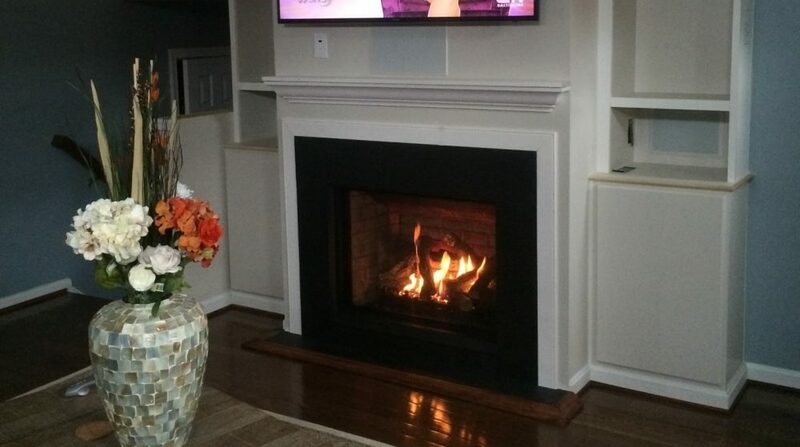 We will provide you with the fireplace of your dreams. Our large selection of quality hearth appliances satisfies the most selective of homeowners. We will walk you through every step of the process of choosing the right fireplace for your home. We can install a stove that we provided or install a unit that you have already purchased. Learn more here. We fix all kinds of chimneys. We complete everything from minor chimney repairs to complete chimney rebuilds. There is no job that we cannot handle. We take the time to identify the best options for your specific needs. We focus on finding ways to provide long-term repairs at reasonable prices. No one does it better for less. Learn more here. All Pro Chimney service is the chimney sweep company that you have been seeking. We arrive on time, inspect your chimney and only charge you for cleaning if the inspection identifies that cleaning is needed. If a chimney cleaning is necessary, then we sweep your chimney and identify any other needs. All Pro Chimney provides the best chimney sweep service in VA. Learn more here. For all your fireplace and stove needs, contact All Pro Chimney and ask for a free consultation, a chimney inspection or design and construction estimate today!